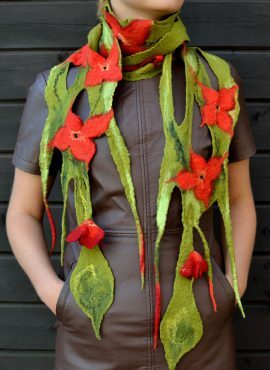 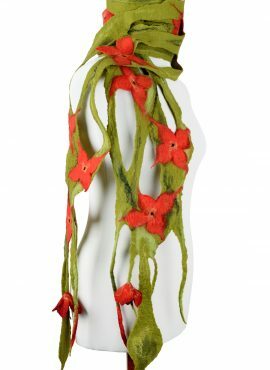 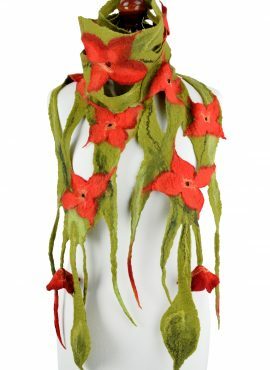 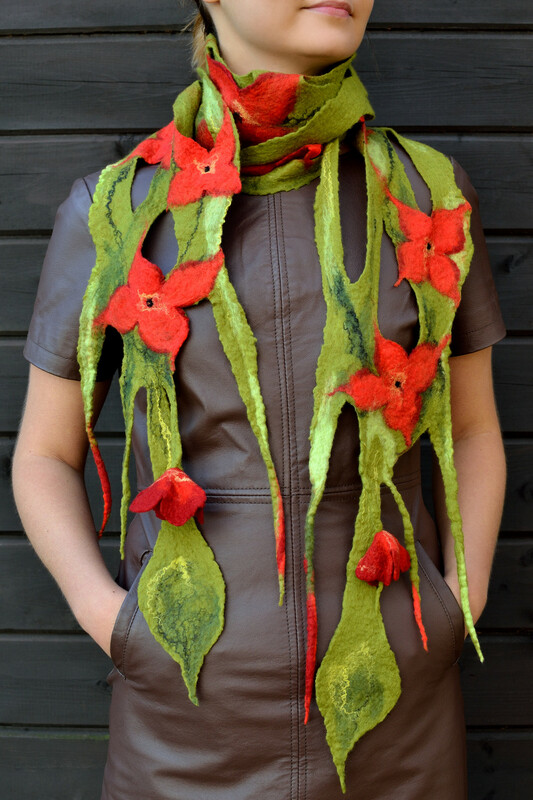 This floral felt scarf is similar to a blooming plant with many red flowers. It will bring a smile to your face and make you feel in harmony with nature. 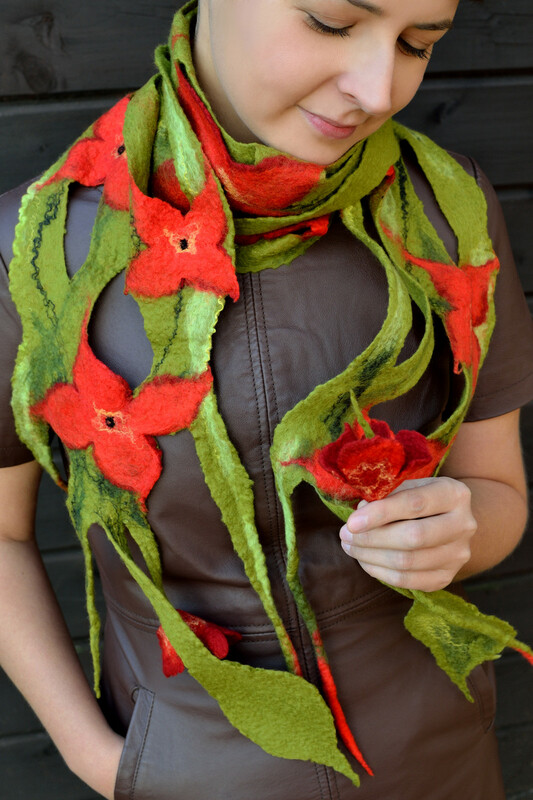 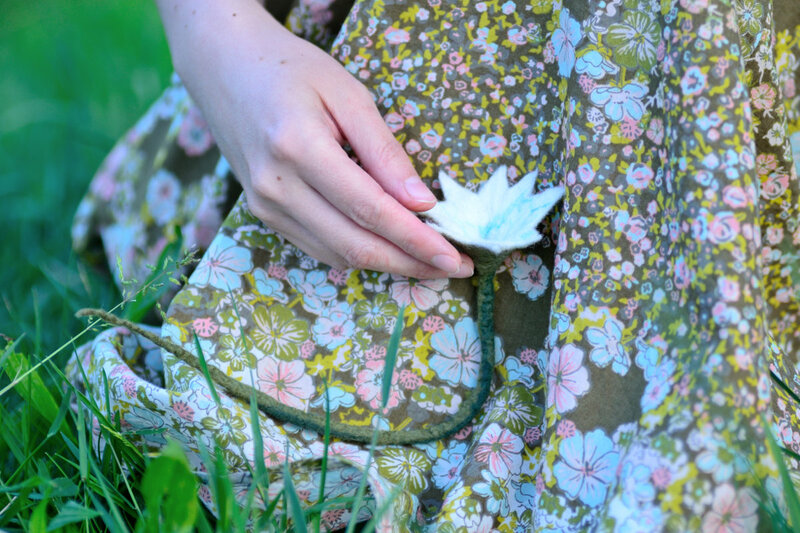 This floral felt scarf is a piece of wearable art. 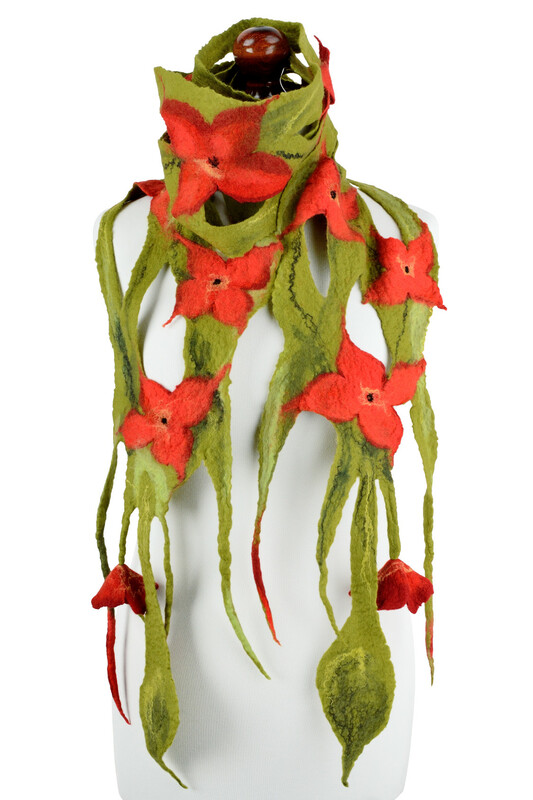 Its design is similar to a blooming plant, with green stalk and leaves and many red flowers. 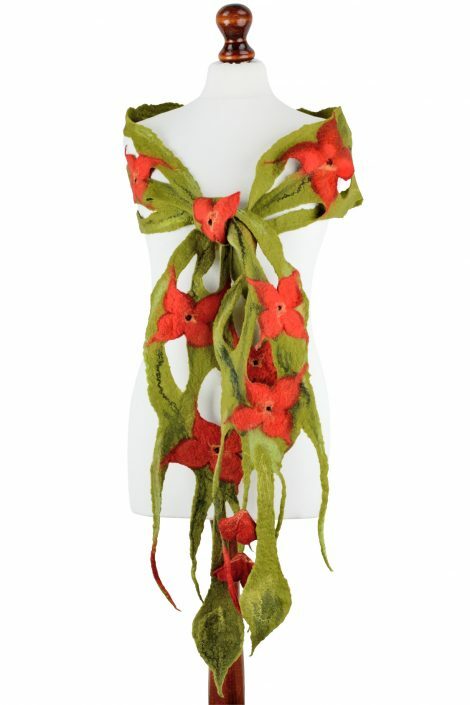 It is perfect for women who love nature and bright green tones. 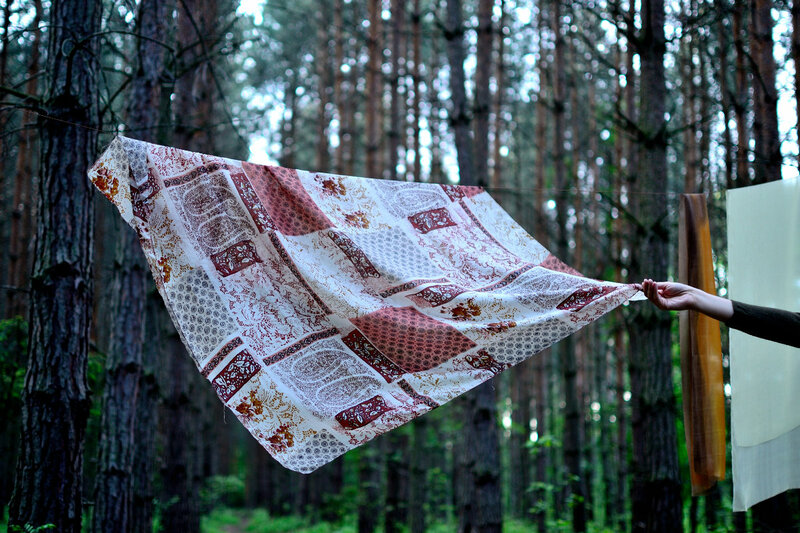 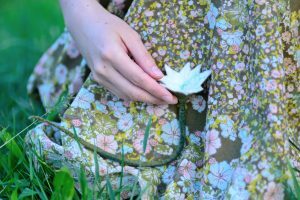 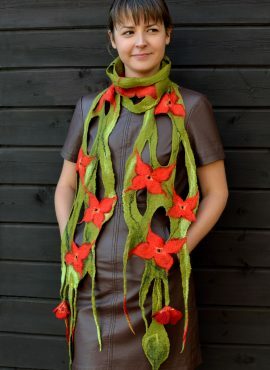 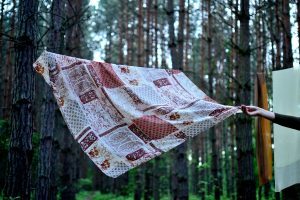 You can wear this botanical scarf in the spring or during autumn, to keep the summer for longer. 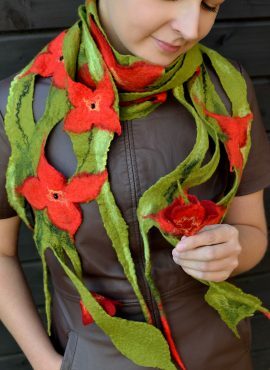 I make this floral felt scarf by hand in felting technique. 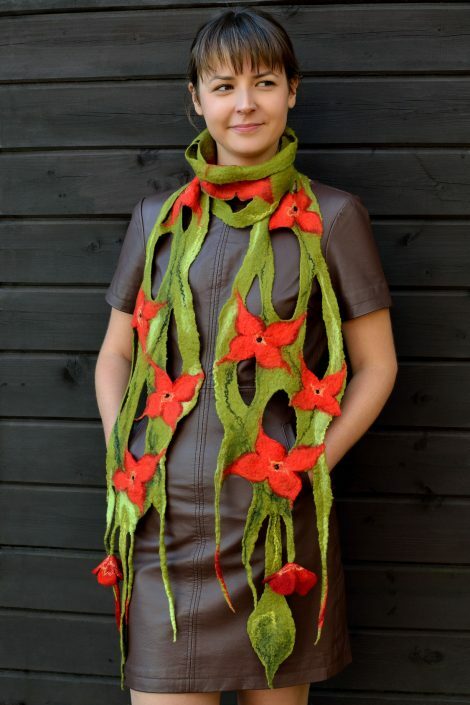 It is very long, so you can wrap it two or three times around your neck, if you need to warm up a bit. 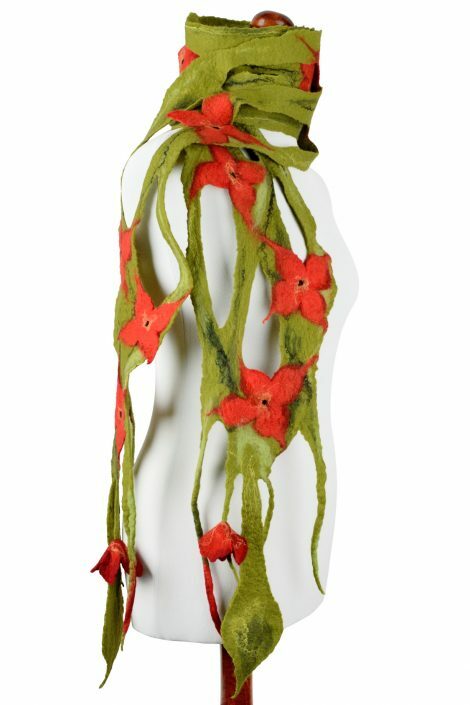 At the same time it is very lightweight, as it has airy design and consists of fine merino wool and silk fibers. 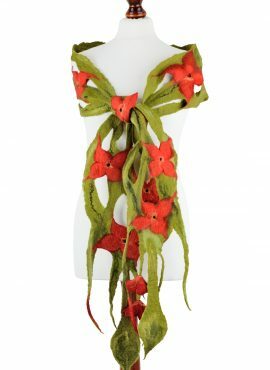 Natural materials make it very cozy and friendly to the skin – it is a real pleasure to wear it. With its vivid green and red tones, it will bring a smile to your face and make you feel in harmony with nature.